For Nepal, ending hunger and improving nutrition for all its citizens will be a significant task, but one that is within its grasp. The country has already made great strides in reducing undernourishment and stunting. However, the prevalence of both are still high and challenges remain. Out-migration of a young workforce, feminisation of agriculture, difficult geography and poor infrastructure, poverty, significant urbanisation and a nutrition transition paired with shifting diets, and climate change and devastating natural disasters are threats to achieving food security and nutrition (FSN) for the country. The objective of this Strategic Review is to inform the government on how best to achieve SDG2 by 2030 in the context of transformative sustainable development by outlining the food security and nutrition landscape, the policy and programmatic environment, and best practices for a cohesive action plan. 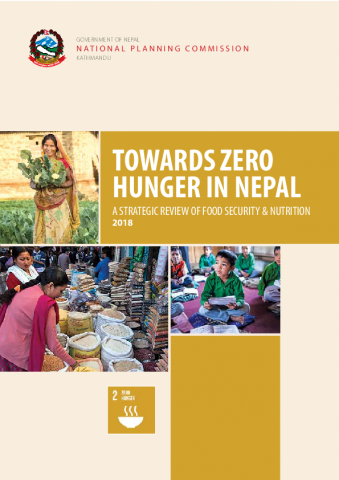 The Strategic Review serves both as a research exercise designed to give a consolidated picture of the food security and nutrition challenges in Nepal and as a mechanism for supporting the government in setting priorities and finding gaps in policies and programmes currently implemented to achieve SDG2. In turn, the Review will allow all stakeholders to anchor their policies and programmes for achieving zero hunger in support of a clear set of government priorities based on the country’s needs. Nepal does have the means to face these challenges and is in an opportune position to act. The Sustainable Development Goals (SDGs), adopted by 193 countries in 2015, offer a tremendous opportunity for Nepal. The SDGs aim to “transform our world” by achieving 17 goals for people, the planet, and prosperity. The SDGs are an agenda for the world, and for Nepal, to leave no one behind and transform the way the world ends hunger, ensures food security, and tackles malnutrition in all its forms, through an integrated approach. The SDGs have been designed to be a transformational agenda in which each country has the scope to plan, finance, and implement actions towards achieving the SDGs in whatever way they see fit. Part of this transformational agenda is ensuring that ‘no one is left behind.’ What does that mean for Nepal? It means ending extreme poverty and reducing inequalities for women and marginalised ethnic and caste groups. It means prioritising actions for the poorest and most marginalised – the idea of “universality” with no discrimination. Where there is severe food insecurity and a high burden of malnutrition, extra efforts need to be made to close the gap for those who still struggle to meet basic food security needs and ensure everyone has basic human rights and a minimum standard of living. This is Nepal’s social contract with its people for the next two decades. SDG2, which serves as the main goal of this Strategic Review, is to “End hunger, achieve food security and improved nutrition, and promote sustainable agriculture”. It contains five targets. The first is to end hunger and ensure food access for all, especially the most vulnerable. The second is to end malnutrition, including stunting and wasting in children under five as well as provide sufficient nutrition to adolescent girls, pregnant and lactating women, and older people. The third is to double agriculture productivity and incomes for smallholders, especially indigenous people and women. This should be achieved by increasing access to land and other natural resources as well as to technology and inputs, capital, and markets. The fourth is for the food system to be sustainable and resilient to climate change and weather-related disasters. The fifth is to maintain genetic diversity in both farmed and wild plants and animals. It also subscribes that this be equitably distributed. 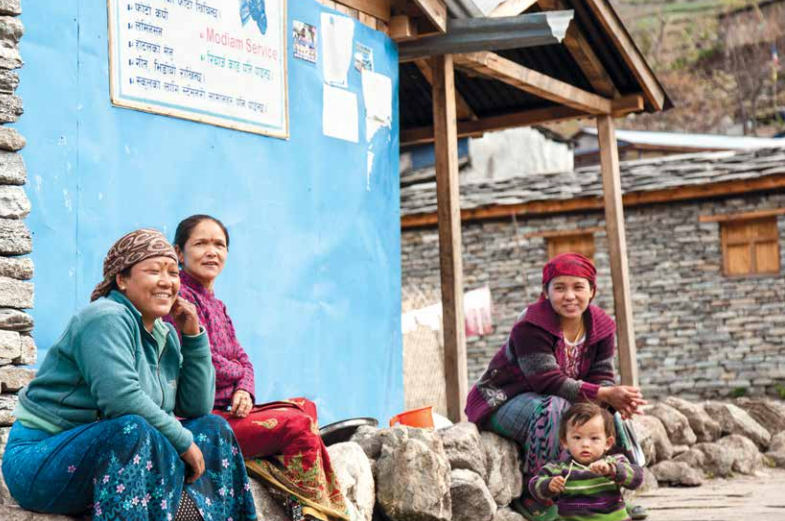 These targets are lofty, challenging, and ambitious, but for Nepal, achievable. 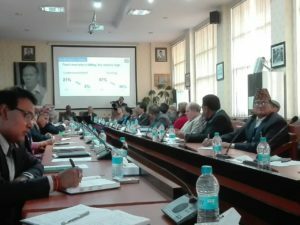 Achieving SDG2 will be possible for Nepal if the right policies and legislation, institutional arrangements and partnerships, enabling environment, investments, and implementation paired with data monitoring systems, are put into place. It is hoped that this Strategic Review provides some evidence-based guidance on what are the right choices for the government and its partners. This Strategic Review consists of three components: a desk review, producing of thematic reports and national and subnational consultations. The objective is to inform the government on how best to achieve SDG2 by 2030 in the context of transformative sustainable development by outlining the FSN landscape, the policy and programmatic environment, and best practices for a cohesive action plan. 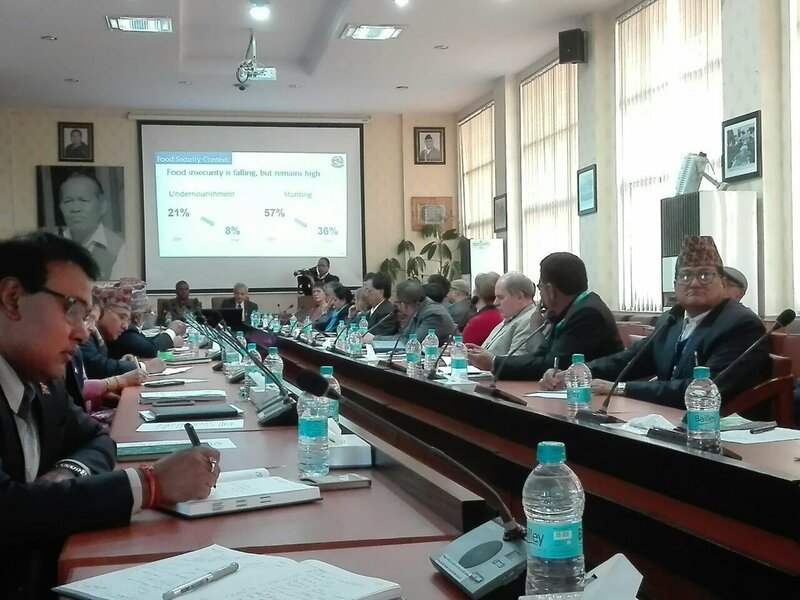 The Strategic Review serves both as a research exercise designed to give a consolidated picture of the FSN challenges in Nepal and as a mechanism for supporting the government in setting priorities and finding gaps in policies and programmes currently implemented to achieve SDG2. In turn, the Review will allow all stakeholders to anchor their policies and programmes for achieving zero hunger in support of a clear set of government priorities based on the country’s needs.